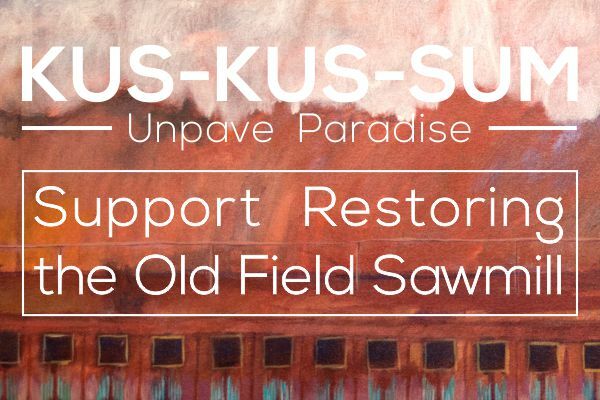 Looking back at 2013 I noticed we hadn’t yet posted about our TEDX talk so as a recap here it is! On Thursday May 23, 2013 a local group, Imagine Comox Valley, organised and presented a TEDX event. A TEDX event is a local independently organised TED event where people from the community give talks about something they are passionate about and want to share with the broader community. The theme for the event was Revealing Hidden Local Talents and Dr.Paul Horgen of Project Watershed shared information about our groundbreaking Blue Carbon research. Blue Bamboo has captured the talk on film and it is below for your enjoyment! 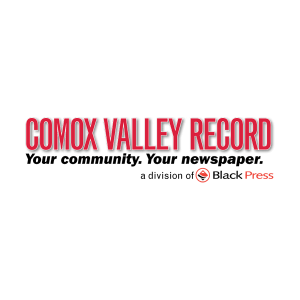 If you would like to view the rest of the talks visit the Imagine Comox Valley website or find them on YouTube. September 23-29 has been designated as National Estuary Week by the organization Restore Americas Estuaries so Project Watershed encourages you to get out and do something good for the estuary like picking up garbage or removing some invasive plants. There are a variety of groups and locations registered for the Great Canadian Shoreline Clean-up including Project Watershed and Comox Valley Nature who will be doing their work on 29 Sep.
Project Watershed would like to thank our volunteers and our sponsors for making this a very successful summer for Blue Carbon. As mentioned, Project Watershed carried out a compensation transplant which resulted in around 34,000 stems being planted around the Trent River Estuary which should result in a great deal of additional habitat for all the organisms that live there. As well, thanks to a generous donation from the Pacific Salmon Foundation we were able to transplant around 4,000 stems near the Royston area. 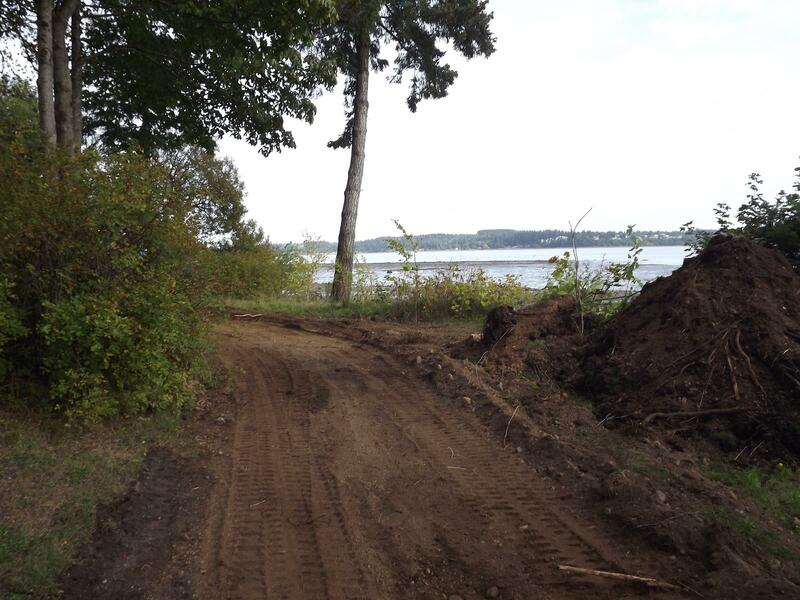 This new vegetation will increase the carbon sink available in the K’omoks Estuary. We had planned to continue populating the area beside the Royston Wrecks which had been denuded due to years of being overshadowed by log booms but this proved impossible as the previous two transplants of less than 1,000 stems has grown and spread to the point that there is little room left for additional plants. Project Watershed has also made some good progress on our Blue Carbon project thanks to some funding from the Climate Action Secretariat and our awesome volunteers. 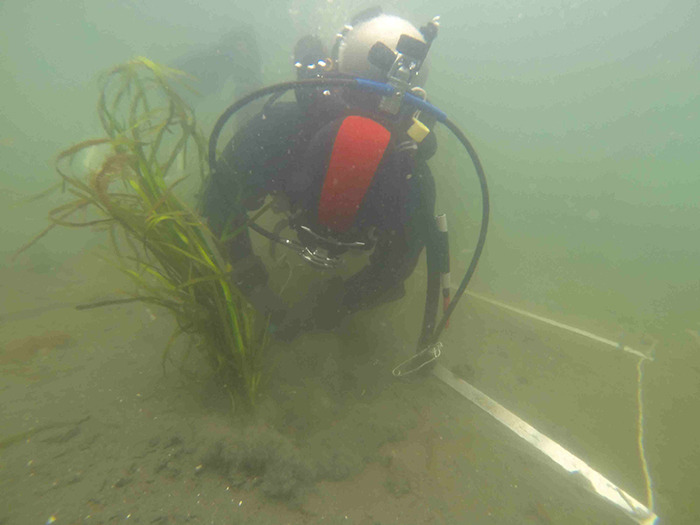 Biologist Angela Spooner has taken some biomass measurements which provide some initial data on the amount of carbon that can be sequestered by eelgrass in various locations, both intertidal and subtidal. We have also made some progress on verifying our eelgrass map thanks to all of the sponsors mentioned above. We hope to continue progressing our Blue Carbon project with our stewardship partners in the years to come. Pictured at the agreement signing alongside the Courtenay River Estuary on Tuesday are, from the right, Vancouver Island University President Ralph Nilson, the chair of Comox Valley Project Watershed Society Paul Horgen, B.C. Environment Minister Terry Lake, and Comox Valley MLA Don McRae. 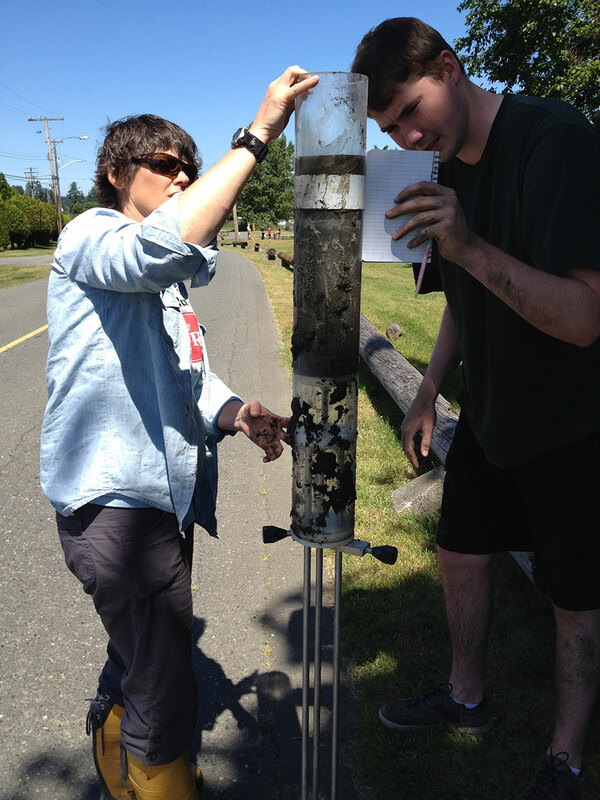 Research probing the potential of the Courtenay River Estuary to capture carbon dioxide from the atmosphere is to move forward with the help of a $30,000 provincial grant. B.C. 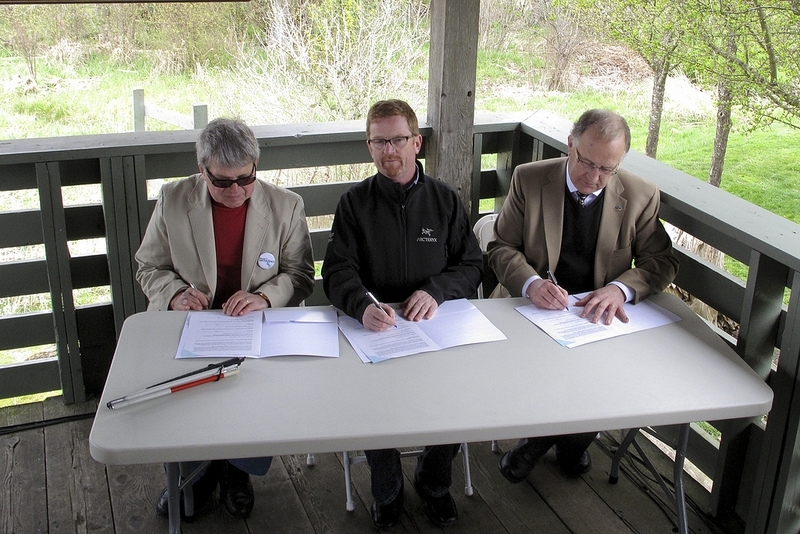 Environment Minister Terry Lake was at the estuary wildlife viewing area on Comox Road on Tuesday to sign a memorandum of agreement with the President of Vancouver Island University, Ralph Nilson, and the chair of Comox Valley Project Watershed, Paul Horgen. The three-way partnership is intended to produce a better understanding of how coastal communities can combine action on climate change and improvements to coastal ecosystems while at the same time securing economic benefits from such activities. 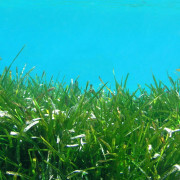 So-called ‘blue carbon’ is the carbon dioxide naturally absorbed from the atmosphere and stored in the marine environment through plants like eelgrass, sediment and even shellfish. Some people believe the marine potential for sequestration is even more significant that that known to exist through land-based plants and trees. 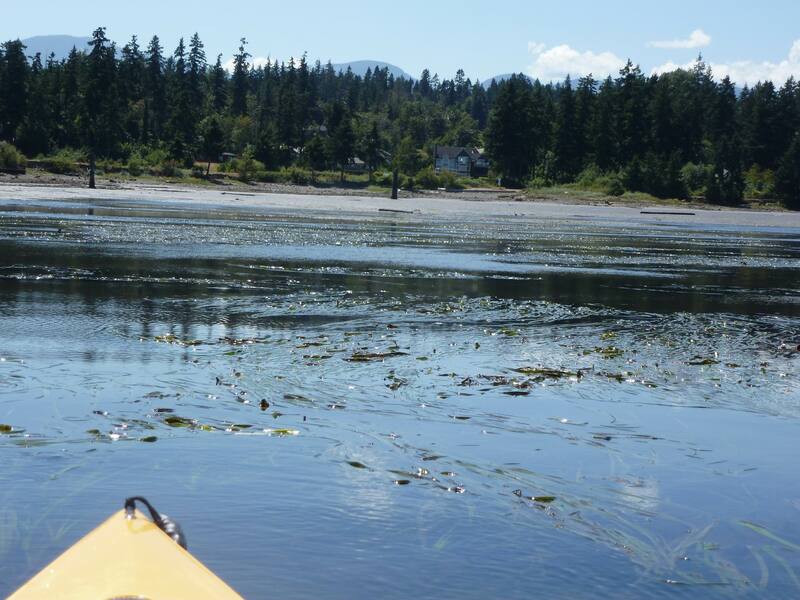 Horgen said eelgrass meadows were disappearing from coastal estuaries as a result of pollution, logging activities, habitat destruction and burial, and their disappearance represented a loss of an important carbon sink. “Restoration efforts have economic and climate adaptation benefits and provide a key wildlife habitat – a hat trick for the environment,” he suggested. And Minister Lake said there were hundreds of estuaries large and small in B.C. alone, and if the research produced positive results, tremendous opportunities could be opened up. “The money today is relatively small, but the potential applications and benefits are huge,” he commented. He praised Horgen and regional district Area B director Jim Gillis for pursuing the issue and helping prepare the information that had enabled him to put the case for research funding to his government colleagues. The following article was posted in The British Columbia Newsroom and The VIU News. COURTENAY – The B.C. government is partnering with Vancouver Island University and the Comox Valley Project Watershed Society to better understand how coastal communities can combine action on climate change and improvements to coastal ecosystems, and at the same time potentially benefit economically from these activities. The Province, Vancouver Island University and Comox Valley Project Watershed Society have signed a Memorandum of Understanding (MOU) and identified opportunities – starting in the Comox Valley – for these blue carbon projects in B.C. To contribute to the success of the agreement, the Ministry of Environment is providing $30,000 to commission a first phase of scientific research planning. Blue carbon is the carbon stored in the marine environment, shellfish, plants and sediment. Healthy estuaries remove and store carbon dioxide – possibly even more effectively than plants on land. B.C. has 27,200 kilometres of coastline and 422 estuaries to work with. Blue carbon projects have climate change reduction and adaptation benefits, as well as economic and environmental opportunities for communities and First Nations along the B.C. coastline. Identify additional eligible project areas for blue carbon project activities along the B.C. coast. Evaluate the reasonable cost per tonne to undertake various blue carbon projects, including key variables in forecasting costs (i.e., accessible vs. inaccessible coastline). 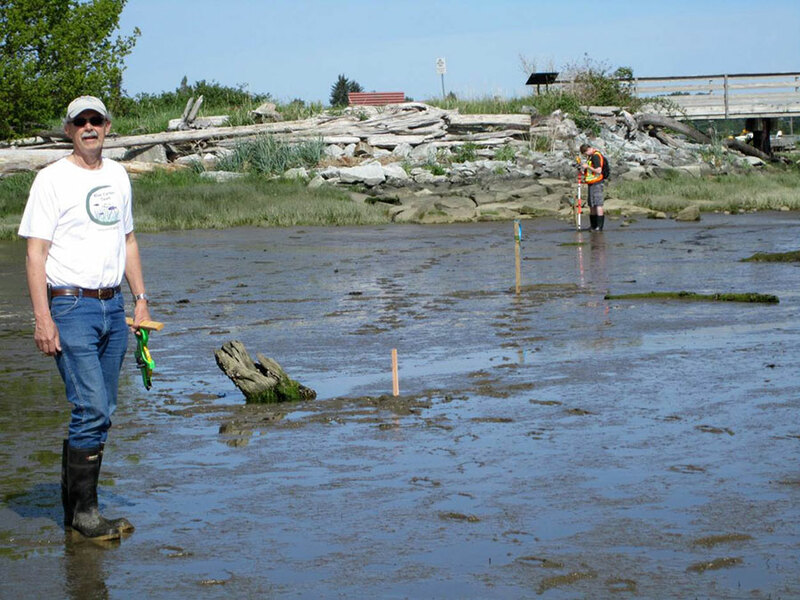 Undertake projects involving a wide range of shoreline and estuary protection and habitat restoration activities on private and public lands that can be designed, developed, quantified and verified to meet domestic and international quality standards. Undertake the necessary research and analysis to support the creation and sale of greenhouse gas offsets from blue carbon projects that will be recognized as quality offsets in international markets. Through these activities, Vancouver Island University will increase its ability to respond to coastal community needs and meet the educational goals of its students. The Province will better understand the opportunity to combine community action on dealing with the impacts of a changing climate, climate change reduction and ecological improvement in coastal ecosystems. 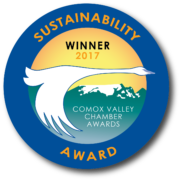 Comox Valley Project Watershed Society will build local expertise and capacity, and restore valuable intertidal areas to the benefit of B.C. coastal and First Nations communities. (Left to right): Project Watershed’s Dr. Paul Horgen, Minister of Environment Hon. Terry Lake and VIU President Dr. Ralph Nilson signed a three way Memorandum of Understanding between the University, Project Watershed and the BC Government (via, Ministry of Environment and the Climate Action Secretariat to work together to investigate “Blue Carbon” and its role of estuaries in sequestering carbon.